Non-Surgical Spinal Decompression at Picard Chiropractic in Huntington, NY is a revolutionary new technology used primarily to treat disc injuries in the neck and in the lower back. This treatment option is very safe and utilizes FDA cleared equipment to apply distraction forces to spinal structures in a precise and graduated manner. Distraction is offset by cycles of partial relaxation. 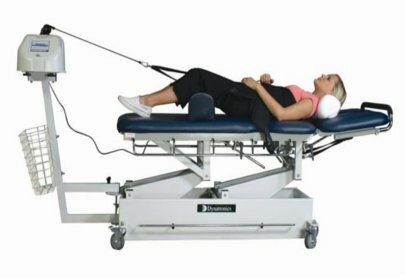 This technique of spinal decompression therapy, that is, unloading due to distraction and positioning, has shown the ability to gently separate the vertebrae from each other, creating a vacuum inside the discs that we are targeting. This is different than just "traction". This "vacuum effect" is also known as negative intra-discal pressure. Non-Surgical Spinal Decompression is very effective at treating bulging discs, herniated discs, pinched nerves, sciatica, radiating arm pain, degenerative disc disease, leg pain, and facet syndromes. Proper patient screening is imperative and only the qualified candidates are accepted for care. This allows patients a 70% chance of resuming a normal lifestyle Please fill out the Consultation Form to determine whether you are a candidate for this safe and effective treatment option. Please browse through the information we provide. Feel free to use our contact page to receive free information about huntington decompression therapy.